The energy drink market, worth billions and billions of dollars, continues to expand. It seems like every time you’re in your local grocery store, there’s a handful of new energy drink brands waiting to be bought. These products claim to provide you the ability to keep going throughout the day, but at what cost? While you may enjoy the stimulation they bring, energy drinks can actually cause serious damage to your teeth. 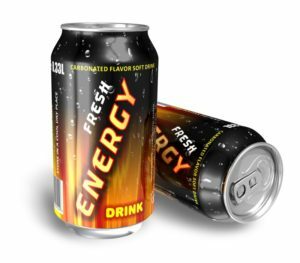 Keep reading to discover how consuming energy drinks can affect your smile from an expert dentist in Waverly. Why Are Energy Drinks Bad for Your Teeth? You may have already heard that sodas, juices, and other sports or carbonated beverages can damage your teeth, but why are energy drinks so bad? All of these drinks contain high amounts of sugar, which turns into acid when it comes in contact with the bacteria in your mouth. Energy drinks have a higher level of acidity than any other beverage, making them incredibly harmful to your tooth enamel—the protective outer layer of your teeth. While this is the strongest material in your body, it can still be damaged and eroded by highly acidic beverages. The biggest people at risk are teenagers and those in their early 20’s. During these years, their tooth enamel is still porous, which makes them more likely to erode. Plus, adolescents tend to drink more sodas, sports drinks, and energy drinks, putting them at a much higher risk. They also tend to lack a proper brushing and flossing routine that can clean away sugar and acid. Additionally, it doesn’t help that energy drink companies market directly towards the teenage and young adult audience. What Are the Signs of Eroding Teeth? How Can You Avoid Eroding Your Teeth? Use a straw to avoid the liquid coating all of your teeth. Rinse your mouth out with water after drinking sugary or acidic beverages. Try to limit the amount of these drinks you consume. Practice a good oral healthcare routine like daily brushing and flossing. Now that you know more about energy drinks and the damage they can cause, use these tips to keep your teeth looking and feeling great. Dr. Jonathan Smiley is dedicated to providing quality care to his community. He believes in patient education, which is why he wants you to know the negative impact energy drinks can have on your teeth. He currently runs his own practice, and he can be contacted through his website or by phone at (319) 352-2270 for any questions.